Mmmm, sweet potato pone, one of the few favorite desserts of locals and fast becoming a tourist crave. These days, no soul food is complete without being able to bake a toe-curling sweet potato pie. Some cooks add lemon, orange or even apple to the batter, but the hands-down common denominator, aside from the spices, is eggs and evaporated milk. 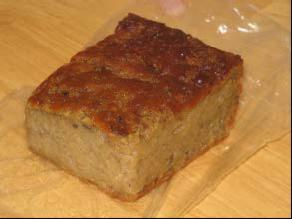 Sweet Potato Pone is the Holy Grail in Belize, it is a dessert originally derived from the Garifuna. The pie when prepared well is unbelievably flavorsome and good for a quick snack to satisfy your hunger. Preparing the pie may be quite a task, but the finished product is worth every minute spent laboring over a hot stove. Simply follow these easy steps and make yourself a hearty and satisfying dessert for the whole family to enjoy. First gather the ingredients; 2 pounds sweet potato, melted butter, 2 eggs, brown sugar, 1 cup evaporated milk, cinnamon/ginger and vanilla extract. Next, its time to prepare the pie; wash sweet potatoes thoroughly and take off skin, then start grating the potato until finely grated. In a bowl, combine the ingredients and mix contents thoroughly until well blended. Grease a baking pan with melted butter and pour mixture into bowl. Finally, bake in oven for an hour or until golden brown. Optionally, you may sprinkle the top of the pone with additional brown sugar or condensed milk. Allow the pone to cool completely before serving and enjoy!